Feeling thankful for three quilts to bind and a break in the heat. What are you feeling thankful for today? Renee your quilts are just beautiful. Renee, I just love your blog. I could go through and spend hours looking at your beautiful quilts. Today, I'm thankful for three new sewing projects! Thankful for God's provisions for our needs! 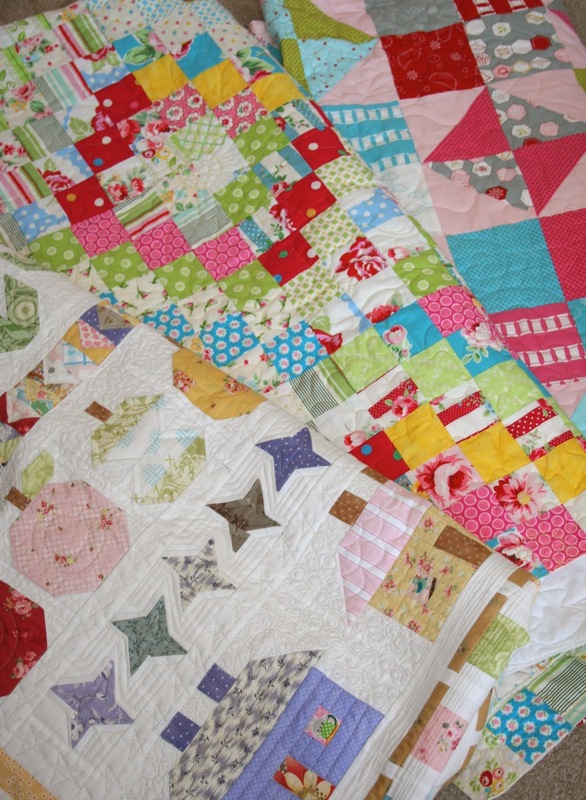 Ooh, I see your Row Along & Scrappy Trip quilts in there, they look gorgeous!